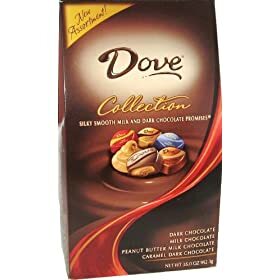 I’m a sucker for Dove Promises Chocolates. Every time I open the foil wrapper, I look for the promise written inside, even though I’ve read them all a hundred times. Most of them are platitudes about the goodness of chocolate, some are amusing, and some make you scratch your head. Hershey has a similarly shaped Bliss chocolates in foil wrappers, but there are no sayings inside. It isn’t the same without the words! This fall, Dove came out with an Autumn edition, with all new promises. Promises about watching the leaves fall, about the harvest moon and all the goodness the season brings. I stopped when I came across this one, “Sit around a bonfire and watch the stars.” Immediately, I recalled doing exactly that this summer while visiting friends in Wisconsin. We sat around a bonfire, made s’mores for the kids and looked at all the stars that we don’t normally see in our wooded area of Massachusetts. But of course I couldn’t savor that peaceful moment like a normal person, I whipped out my iPhone and geeked out. I had just come back from BlogHer ‘09 and one thing that really impressed me was an iPhone app that someone showed me called Pocket Universe, or pUniverse for short. On the iPhone 3GS, it uses the compass to track your position and will show you the constellations in the night sky as you turn around. 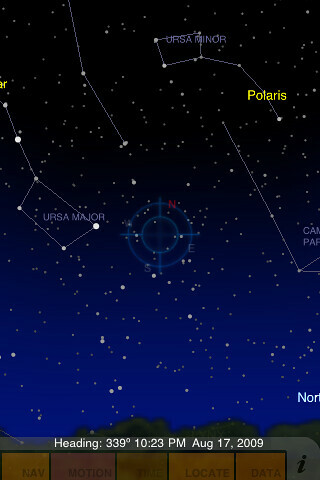 You can move and zoom and have astronomy literally at your fingertips. It gets a little wonky if you look straight upwards, but otherwise it works really well. Last week we went to a Halloween party where there was another bonfire. This one was really cool because they erected a structure over it holding a huge cauldron of ghost chili. Unfortunately, this only an iPhone pic, but it was the real deal. You had to step into the fire pit to scoop out some piping hot chili, but it was well worth a bit of smoke in the eyes. 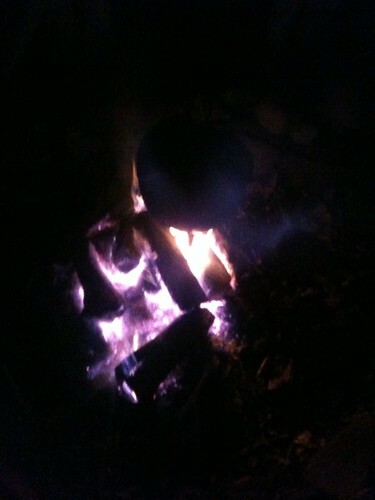 Chocolate, autumn leaves, bonfires, stars… Life is good! Except for the snow. 10/21/09 - Edited to add... No free chocolates were given to me for this post, but I would gladly take some!